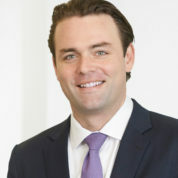 Simon Smiles is Chief Investment Officer – UHNW. In this capacity, he and his team formulate investment strategy, themes and trades for UBS’s Ultra High Net Worth clients. He is UBS’s youngest Group Managing Director and is also responsible for derivatives, hedge fund, private markets, sustainable, and short term trading investment strategies, leads UBS WM’s impact investing efforts, contributes to the wider UBS WM House View, hosts the monthly UBS Investor Forum, and sits on UBS’s Global Investment Committee. Prior to moving to Zurich, Smiles worked for UBS Investment Bank in Hong Kong as Head of Asian Thematic Research. Before this, he ran UBS’s media and internet equity research team in Australia, and taught economics and finance at the University of Sydney and UTS. Simon is a WEF Young Global Leader, IIF Future Leader, UBS Opinion Leader, and member of the Milken Institute’s Young Leaders Circle, has appeared regularly in financial media including CNBC, Bloomberg TV, Reuters TV, Barron’s, WSJ, Forbes, and has participated in and moderated panels at a wide variety of international conferences.